This dataset contains a list of National Drug Codes (NDC) in the Medicaid Drug Rebate Program (MDRP) that are not listed with the FDA. It is encouraged to drug manufacturers to follow the NDC Structured Product Labeling to ensure their listing with FDA, which is used to verify eligible products for Medicaid coverage, by matching the NDCs in the Medicaid Drug Rebate Program Drugs Product Data dataset against the FDA NSDE file to identify the products not listed with FDA included in the MDRP. In Manufacturer Release #84 issued in July 2012, all manufacturers are strongly encouraged to review the Food and Drug Administration’s (FDA) comprehensive NDC Structured Product Labeling (SPL) Data Elements file (NSDE) to ensure that all manufacturer NDCs that are in the Medicaid Drug Rebate Program (MDRP) are listed electronically with FDA. As explained in that release, CMS uses listing information to help verify which drug products are eligible for coverage under the MDRP. A list of NDCs in the MDRP is generated that are not listed with FDA, by matching the NDCs at the 9-digit level that are in the second quarter 2014 MDRP drug product data file against FDA’s NSDE file to identify products that have been reported to CMS for inclusion in the MDRP but that are not listed with FDA. The drug products listed in MDRP, sorted by NDC, that are currently not listed with FDA as of 09/30/2014 includes NDCs with no termination date and NDCs with future termination dates. It is important that all drugs be listed with FDA. Therefore, the manufacturers are strongly encouraged to review this list to identify any NDCs under their labeler code(s) which are not currently listed electronically with FDA and list those drugs with FDA promptly. If a review of this list identifies any NDC(s) that should not be included in the MDRP, please contact immediately. The manufacturers are responsible for correctly reporting their covered outpatient drugs (CODs) to the MDRP via the Drug Data Reporting for Medicaid (DDR) system. 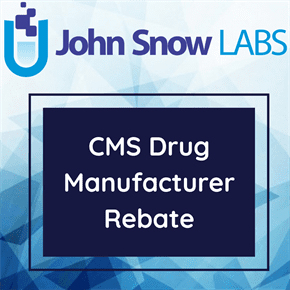 Because the MDRP only covers products that meet the COD definition, CMS is currently reviewing the MDR system to ensure that only products that meet the COD definition are in the rebate program. Centers for Medicare & Medicaid Services. Medicaid Drug Rebate Program Data. Published in August August, 2015. Accessed February 16, 2016.